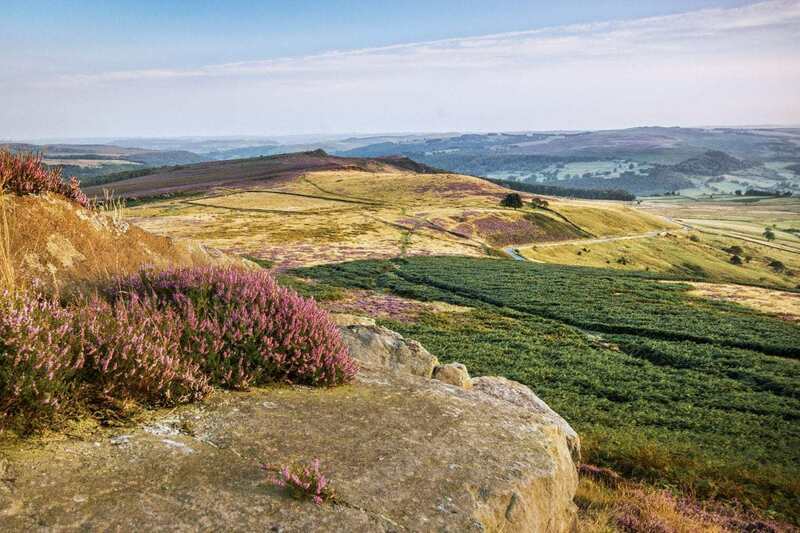 The Peak District National Park covers 555 square miles of the most beautiful areas of Derbyshire, Staffordshire, Cheshire, Yorkshire and Greater Manchester. It was the first National Park ever created in the UK, back in 1951, and it now receives more than 10 million visitors every year. 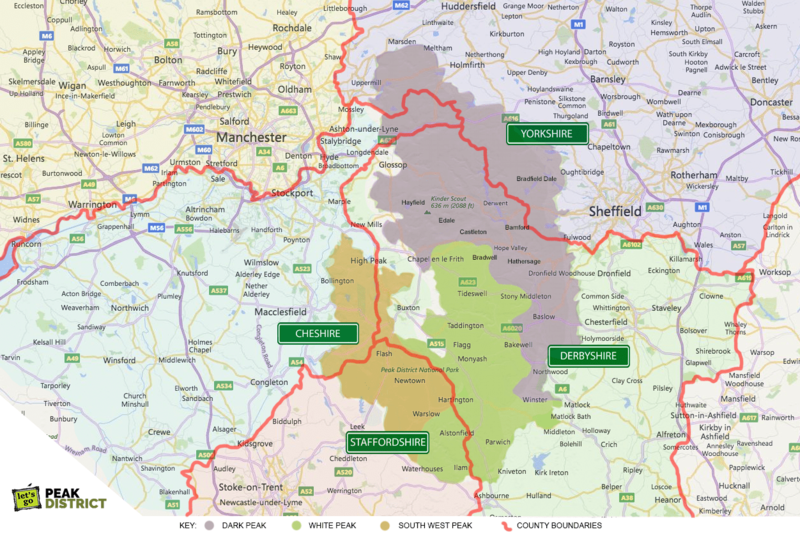 They come here for our stunning countryside, our charming towns and villages, and the freedom to escape from the crowds on our miles of footpaths, bridleways and cycle trails. The landscape of the Peak District National Park is wonderfully diverse. It is broadly split into two distinct parts. The White Peak to the south is comprised of gently rolling slopes of lush pastureland, criss-crossed by ancient stone walls, while the Dark Peak to the north is characterised by wild, heather moorland and dark gritstone crags. This a place of ancient civilisation. Throughout the Peak District National Park there is evidence of Stone Age, Bronze Age and Iron Age settlements, with mysterious stone circles, standing stones, cairns and cave dwellings. 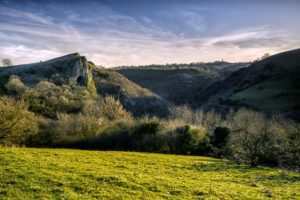 The spectacular Thor’s Cave near Wetton in Staffordshire was used during the Stone Age, with excavations unearthing stone tools, pottery and amber items, as well as the graves of at least seven people. The Romans also made their mark on the Peak District, building roads that are still in use today, including the road between Buxton and Ashbourne. As well as the breath-taking scenery, the Peak District and surrounding area is home to the bustling market towns of Bakewell, Buxton, Leek, Ashbourne and Matlock, all of which have plenty to keep visitors of every age occupied. 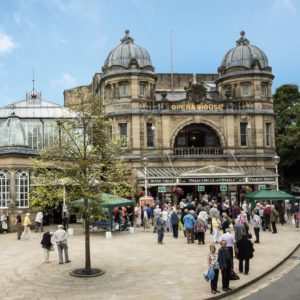 Be sure to sample some of the famous pudding when visiting Bakewell, or take in a show at the Matcham-designed Opera House in Buxton. And if you’re lucky enough to visit Ashbourne in February, you shouldn’t miss the annual Royal Shrovetide Football match, a unique and ancient tradition that takes 16 hours, involves hundreds of players and requires a large ball to be passed between goals that are 3 miles apart! The Peak District is also renowned for its idyllic chocolate-box villages, with pretty stone cottages on twisty lanes, beautiful old churches and cosy country pubs. 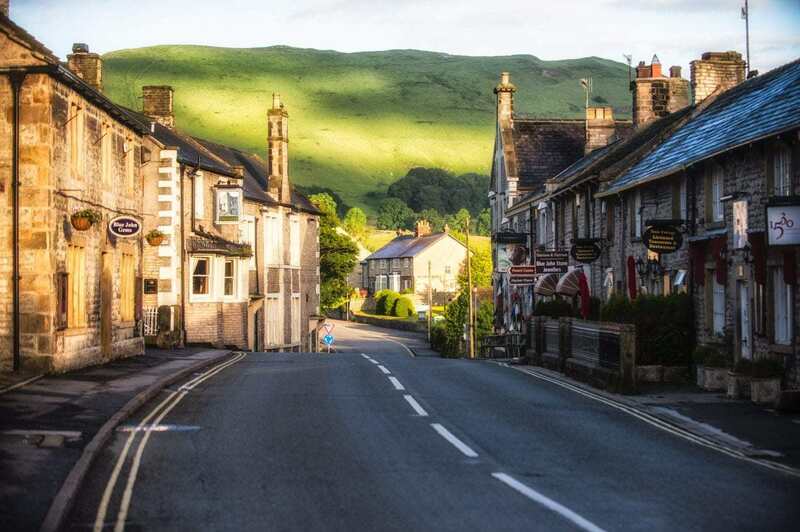 Make sure you visit Castleton, on the border of the White Peak and the Dark Peak, with its lovely shops, stunning show caves, and towering limestone crags. Or the historic plague village of Eyam, famed for its inspiring tale of bravery and sacrifice in the 17th Century. And for quintessential Peak District charm, it’s hard to beat Alstonefield, with its clusters of beautiful stone houses surrounding a perfect village green. The Peak District has no shortage of magnificent stately homes for visitors to enjoy, but the Jewel in our Crown is undoubtedly Chatsworth House, the ancestral seat of the Dukes of Devonshire. The House itself is awe-inspiring, with lavish interiors and important collections of art, but its expansive parkland and location within the landscape is just as impressive. As well as Chatsworth House, you should not miss the superbly romantic Haddon Hall, acclaimed as one of the most beautiful medieval manor houses in England, and looking like something straight out of a fairytale. Or the magnificent Hardwick Hall, a perfect example of an Elizabethan country house, built by the mighty Bess of Hardwick in the 16th Century. 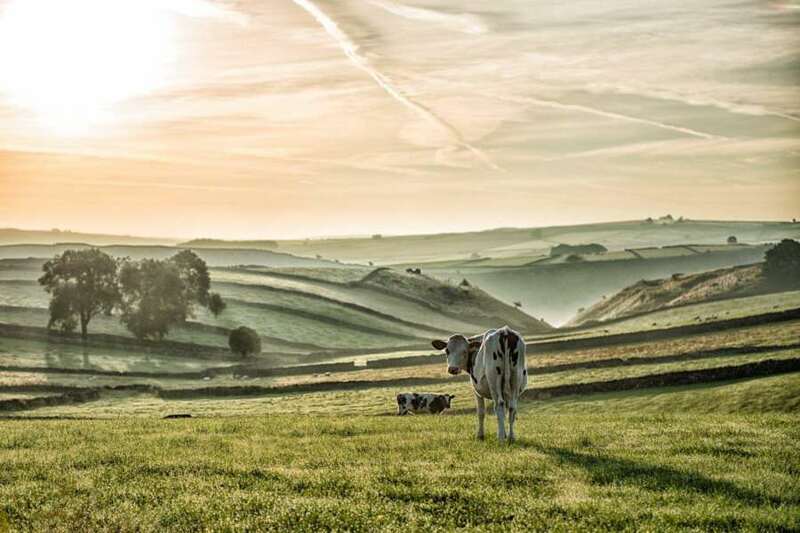 Despite its well-deserved popularity, it is still very easy to escape the crowds in the Peak District, with more than 1,800 miles of footpaths and bridleways. Many visitors come to hike and run in the hills and dales, and the famous Pennine Way starts in the very pretty village of Edale. Others come to climb on our dramatic edges; Stanage Edge in Hathersage has almost 1,500 routes up its gritstone faces and is deservedly known in climbing circles as God’s Own Rock. If cycling is more your thing, the Peak District has more than 65 miles of off-road cycle trails, including the picturesque old railway lines of the Monsal Trail, the Tissington Trail and the High Peak Trail. 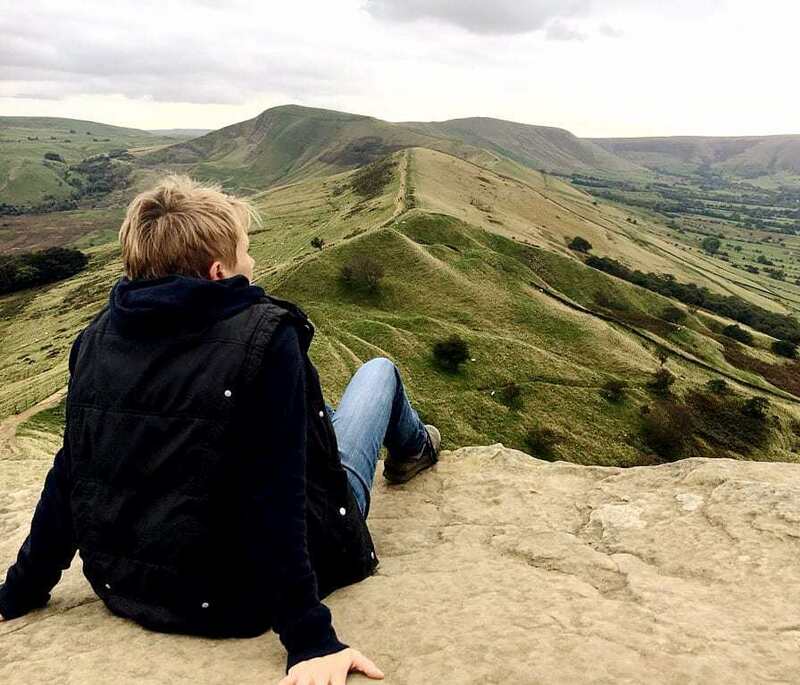 The Peak District is also a perfect location for gliding, paragliding and hang gliding, with Mam Tor, Rushup Edge and Abney the prime spots for soaring. And away from the more popular outdoor locations, there are hidden gems throughout the area, just waiting to be discovered. The mysterious Lud’s Church near Gradbach is a deep chasm between gritstone cliffs, mossy and dark, damp and cool. It is a great place for adventurous kids of every age to explore. Just as intriguing is the scheduled ancient monument of the Lumsdale Valley near Matlock, a site of industry from as far back as the 17th Century. It is now a cluster of atmospheric ruins, overgrown with ivy, beside which flow a succession of waterfalls. 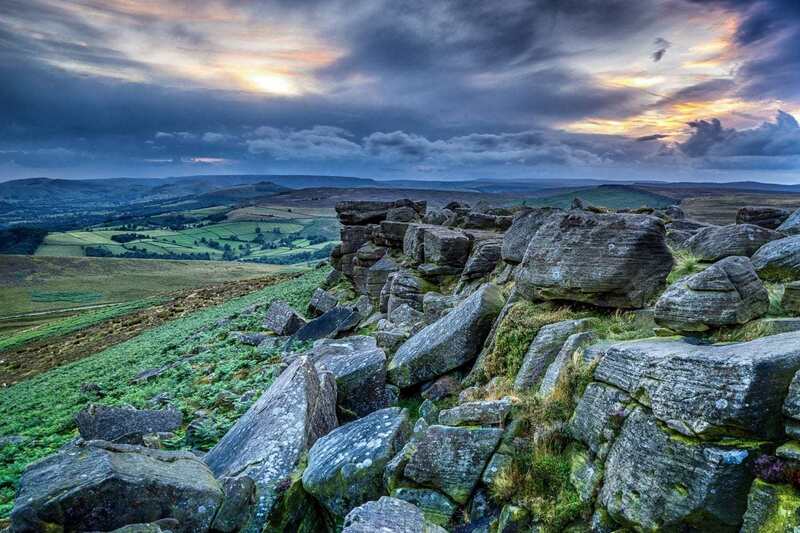 The beauty of the Peak District has been an inspiration to writers, poets, and artists for centuries, and its wild landscapes have also featured in innumerable films and television series. Charlotte Bronte’s classic novel ‘Jane Eyre’ is based in and around Hathersage, and a number of scenes from Jane Austen’s ‘Pride and Prejudice’ are set in the Peak District. Sir Walter Scott’s ‘Peveril of the Peak’ is set in Castleton. William Wordsworth was a frequent visitor to the Peak District and wrote a sonnet to Chatsworth House (“…where new-born waters glide through fields…”). The dams at Ladybower Reservoir were famously the inspiration for the Dambusters raids in Germany in 1943, and the 1954 film of the same name was filmed here. 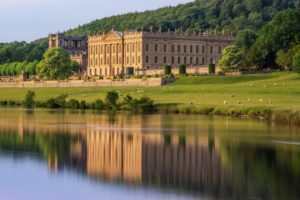 Chatsworth House and Lyme Park have both featured in adaptations of Pride and Prejudice. 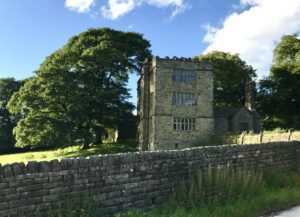 Haddon Hall has made starring appearances in two different versions of ‘Jane Eyre’, as well as ‘Elizabeth’, ‘The Princess Bride’ and ‘The Other Boleyn Girl’. So whether you want to visit for a day or a month, whether you want to hike in the hills or shop til you drop, whether you want to marvel at our history or explore our graceful stately homes, the Peak District has loads to offer everyone, young and old, in every season. Here at Let’s Go Peak District we absolutely love our National Park and we’re proud to show you the very best places to visit, stay, eat and drink while you’re here.